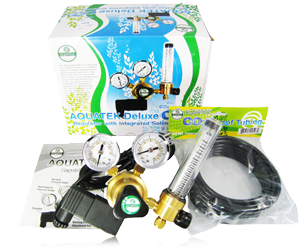 Our Deluxe AQUATEK CO2 Regulator with Integrated Solenoid is perfect for many CO2 injection applications from green houses to aquariums. 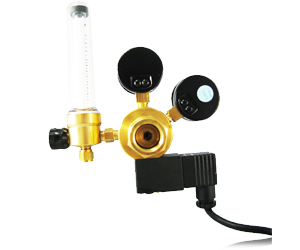 It has been shown that CO2 enrichment at two, three, or four times the natural concentration will promote plant growth. 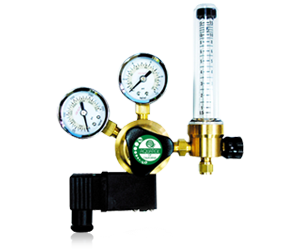 Our deluxe version of AQUATEK CO2 Regulator is equipped with a flowmeter that precisely illustrates the current flow rate. 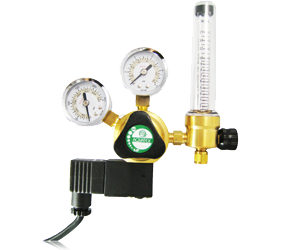 Furthermore, our CO2 regulator includes dual gauges (in both psi & kg/cm) and a needle valve for fine tuning the amount of CO2 injection to maintain the desired level of CO2 concentrations to achieve optimal plant growth. I purchased this item from aquatek of California on Amazon. This item worked great for the first year but a year and 1 month the seal on the tube between the gauges and the tank hook up has started to leak. This worked fine 2 days ago but has failed on this new tank. ( I use a tank exchange service). Loved the product until this happened, seems unfixable as this is a factory seal. Great seller. Great communication. Thanks a million. I used this for several months on a 150 gallon planted tank but could never get flowmeter to show a reading for a rate of 5 bps. Higher flow rates showed a reading but according to my pH indicator.the tank could not sustain this amount of CO2. I had stopped using it completely but recently tried to put it back into service. I worked for 1 week and now the flowmeter is jammed. 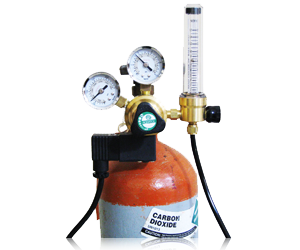 The entire regulator is pressurized but cannot get CO2 past the flowmeter. 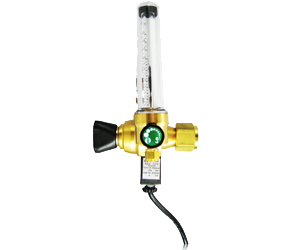 How can I safely remove the flow meter so I can at least use the regulator? Shipped quickly, and was packed very well, would by from again. easy payment, shipment on time! will buy again! Excellent product! Fast shipping and great communication. Thank you! Great seller. Super fast shipping and great product. Very much satisfied. Very satisfied all the way around! Thank you! Great customer service. Super fast shipping. Excellent product quality. Will do business again!